It doesn’t matter if you require assistance with your social media, a commercial, or a graphic design project. There are marketing firms out there that can help you accomplish your goals. Partnering with a professional marketing firm will take your business to the next level. To help you increase your advertising efforts, we have assembled a list of the top 6 marking firms in the US. As mentioned before, this is not an exhaustive list of all of the services that 360i has to offer. On top of their marketing services, 360i runs an educational component called 360iU which educates marketers on consumer behaviors. 360iU offers reports, videos, workshops, and other forms of curriculum. Founded in 2003, Blue Fountain Media has been in operation for more than a decade. Some of their big-ticket clients include AT&T, P&G, AOL, the NFL, NASA, and others. They have won awards of all kinds and have proven to be a top marketing firm. Blue Fountain Media is known for helping businesses communicate their brand story and help craft intricate online campaigns. Blue Fountain Media has demonstrated expertise in more than one type of specialty. It doesn’t matter if you need help with website development, e-commerce design, video production, or even app development Blue Fountain Media has you covered on nearly every front. You can even order business cards, logos, direct mailings and more through their in-house graphic design and web design team. FCB offers many more services, but it’s easy to understand why they’re considered one of the top marketing firms in the US. If you’re still unimpressed, you might be surprised to learn that FCB employs more than 8,000 employees to meet every aspect of their business; from customer service to online advertising experts. FCB isn’t just a US-based marketing firm; they have a worldwide presence that has transformed thousands of businesses for the better. One of the more noteworthy services that Ogilvy & Mather offers is crisis and issues management, a service that specializes in offsetting a crisis that affects the reputation of a business’s brand. You’ll find offices all over the United States as well as all over the world. There is an excellent chance that you’ve seen some of their work before. Some of their most recent projects include music videos, sports car commercials, and sports good TV ads amongst others. Widen + Kennedy specializes in videography and has made a name for themselves providing this service to their top clients. Interestingly, each of their branches operates independently of one another and offer their own unique style of marketing. For example, their Portland office provides services that specifically help tech entrepreneurs whereas their Amsterdam office offers a unique apprenticeship program that’s comprised of the brightest artists that the city has to offer. Your marketing strategy can make or break your business. Thus, you will want to hire only the most qualified marketing firms to guarantee the best results. 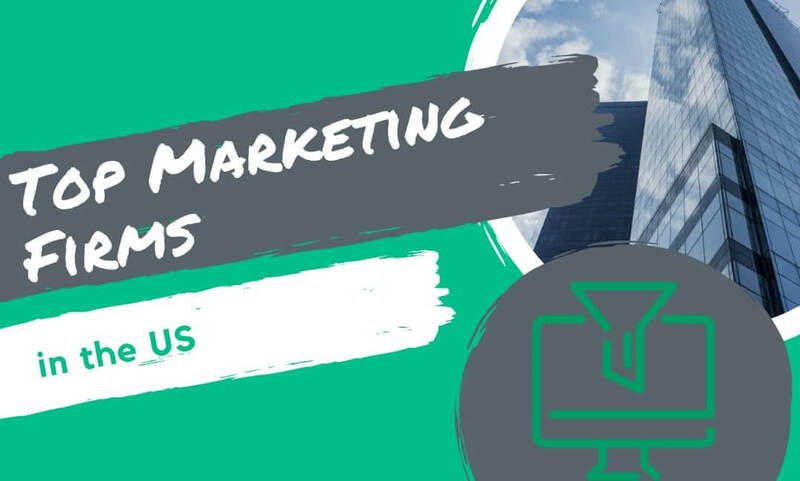 There are literally thousands of marketing firms that dot the US landscape, so do your homework and find the best firm that will help you and your business to thrive.